In the last few days I’ve been thinking a lot about audiences, assumptions and effort. Partly this follows on from the presentation I gave at Epic Social Media for the Public Sector in Exeter a couple of weeks ago, partly it’s from conversations which have passed through my Twitter timeline, partly the content strategy stuff and partly because I’m questioning absolutely everything at the moment. What’s really bothering my brain cells at the moment is I feel there is a general assumption that people want to engage with local government online. This can be stretched out to assume that they don’t just want to engage with us online, they want to do it on their social network of choice. 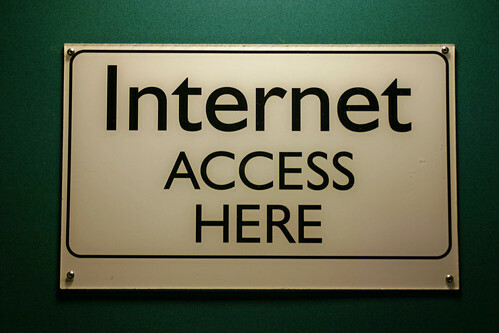 30.1 million adults in the UK accessed the internet every day, or nearly every day, during 2010. This is about 60% of the population. 73% of households had internet access. Around 9 million internet users connected using a mobile phone. Adults aged 65 and over made up 64% of those who had never accessed the internet. Forty-three per cent of these internet users posted messages to social networking sites, chat sites, blogs or used instant messaging. You can see the full detail of these stats on the Office of National Statistics website. What does this tell us? Well, if we want to delve no deeper it tells us that lots of people are online, a growing number of them are using mobiles as their main internet device and that lots of them are using social media of one kind or another. Do they want us to be there engaging with them? We don’t know. So, let’s try and find some more information that might help us with that question. Let’s take Facebook – because I don’t talk about it much and the assumption is that everyone is there. In March 2011 Facebook announced they had 30 million users in the UK. That’s half the population. About half of them check Facebook everyday – in fact one third of women aged 18-34 say they check Facebook first thing when they wake up. Users have an average of 130 friends in their network. So, where are we now? Sixty per cent of the population accesses the Internet everyday, about the same number have Facebook accounts and half of those look at the network daily. Does this make the case clear cut for local government jumping on board and putting effort into creating content there and trying to engage (an assumption there of my own, that local government strives to engage online not just broadcast messages *slaps wrist*)? It certainly goes someway toward that. But (yes, there’s a but), what are those 15 million people doing on Facebook everyday? Whatever it is might not necessarily include your council’s page. Take this little nugget thrown out by Jeremy Waite on twitter during Social Media Week London (February 2012). Of course, you might not want them to go to your page but just to like it once and then endeavour to have your posts show up in their newsfeed. But it’s a challenge to the assumption and I like that. And, what of the other 15 million who don’t visit everyday? How often do they visit? Do they visit at all. The problem of fake and dormant accounts inflating user figures is one which is becoming more widely recognised. Take this September 2011 article in Time which reveals that only half of Twitter’s accounts are active (about 100,000,000); 40% of that number only log in to consume and don’t produce anything (not a huge problem in itself) but what twitter doesn’t reveal is how many of the active number are genuine people and how many are spambots. I made the point in my presentation that huge numbers of friends, followers and fans don’t automatically equal huge success and this just goes to illustrate that statement. You can’t just take the headline figure and expect it to inform you completely. To really understand you need to delve deeper, question more. This article by Tom Foremski on ZDNet expands on this and gives some interesting examples of academic study into the issue. What other assumptions are lurking in here? There’s a biggie. Can you see it? Go on, have a look and I’ll give you a minute…no? How do you know from what’s pulled together here that these stats are representative of your council’s area? The ONS gives us a starting point. They state that London has the highest rate of internet use (no real shock there I wouldn’t have thought) and that the north east of England has the lowest. I’d hope, but won’t assume, that your organisation has some data for their area or are at least working on getting some. Posted in Content strategy, local government, Measurement and evaluation.Tagged assumptions, Content Management, content strategy, critical thinking, evaluation, local council, local government, measurement, research, statistics, User experience design, weeklyblogclub. Bang on Sarah, especially when you talk about: ‘The utterly essential need to know your users (residents / citizens / audience / whatever ……)’, because this is the bit where councils really could do hugely better and if they did, really transform their business. How many enquiries come in to the council through each customer channel (ie web, phone, f2f) daily, weekly, monthly? How are these ratios changing? What are the most important areas of service enquiry and what do channel ratios look like in each? where are the opportunities for cost saving channel shift, maybe by making services available as moblie apps and on social media? Councils have this data. They are just not putting nearly enough effort into collecting, analysing and acting upon it. I do have reservations when it comes to asking people about their preferences, especially when it comes to access channels. Its much more reliable to follow the data about what people actually do, and all councils have this data from customer interactions, if they are prepared to work hard at unearthing it and interpreting it. Unfortunately, its much easier (but not necessarily cheaper) to rely solely on customer surveys, which on their own, can be misleading. On Thursday, Socitm ran a workshop for councils participating in our pilot scheme to collect and benchmark customer enquiry data, with a view to sharing experience and best practice around channel shift. 29 councils have submitted information about the volumes of enquiries they are getting for each of the main service areas, into each channel. All present agreed that getting the data from council systems was challenging, for all sorts of reasons (culture, territorialism, outsourcing, technologies deployed etc) but that it was possible, and that it is absolutely essential to do this in order to understand customer behaviour, so that the council can plan and deploy resources most effectively. Thanks Vicky and I look forward to hearing more about your channel shift learning and good practice research. I agree that asking people isn’t always the best way but I suspect that sometimes not only are organisations not asking they’re not looking at the data available to them but basing what they do on assumptions, either from their own online experience and practices or from what other councils are doing (and therefore it becomes a ‘me too’ thing). There is certainly value in the expertise that is comfortable and, indeed successful, in running digital this way but it isn’t sustainable for an organisation as it relies on a person, rather than a transferable skill or knowledge set. Whether looking at it from a channel shift or engagement perspective, and I think they can be defined differently, what it always should come back to is that you’ve gathered the most amount of information from your users or your target audience (who may not be actively involved with the organisation yet but could or should be) and this information should be gathered directly and indirectly through the data you refer to. What was on my mind when I started this post was that lots of organisations seem to be searching for a formula that will make doing digital well easy for them. I think particularly with Facebook we see this a lot – there is an assumption that because lots of people use the network they want their council to be there. But how do we know this without asking them? How do we know this without evidence? But perhaps that’s another post I should write – what is success? Awesome post. I’ve been banging on and on about asking through residents surveys who uses social media and how they use it locally for years. The single best bit of evidence I’ve got for the effort we expend on social media is the result of a resident survey in 2010 – or was initially. It said barely anyone was on Twitter at that point but that 95% of our 16-24’s were on Facebook and 46% of the general population were so that’s where we focused time and attention and it seems to be paying off. The other thing is measuring and evaluation and working out who you’re giving information to locally and where they are. Our friends groups don’t use social media so much but they do mostly all have web pages so we know they’re tech savvy in places. We know the local media are red hot on Twitter so we talk to them that way. We know local residents in the over 30’s or so bracket are quite civic minded and quite like a chat over the garden fence and love talking about the weather. We know people who attend our theatre want to feel like they’re involved and contributing and can feedback on the things they do and don’t like so they’ve got that opportunity through blog comments as well as social media. We measure so we know Paulo Nuttini sold out in 1 hr after being posted on all social networks. They might not be local people but the revenue generation is the key issue…or is it? Tonnes of questions. My two fave things at the moment are our social media KPI’s and our resident survey outputs. They’re hard evidence that I think people can’t argue with. But underneath that needs to be delved into the further psychology of social media use, what people expect of us, not what we expect people to expect of us. It sounds as if you’re doing lots more than lots of people and are at least seeking evidence for your activity. I think it was what you say in your last sentence which has been niggling me to write this post – ” (the) psychology of social media use, what people expect of us, not what we expect people to expect of us”. I think at BwD you identified the most relevant network to you as an organisation, because of the demographic of local people there, and I know you’ve had success for the hard work you’ve put into your presence on Facebook. But is that transferable directly to other councils? I don’t think so – the principles maybe, but picking it up as a whole and replicating somewhere else isn’t likely to work because the demographic is different, because the organisation is different. I’d like to see more research into this and more evidence of evidence-based activity by organisations before we get to the practical how to. In Better connected 2012 we look look at council activity on social media and we look at likes and followers, which tell you something, but as you say, not much, or not as much as you’d like. But wait till you get to a crisis, floods or snow or similar, or an election (as you showed Sarah, way back in what, 2009?) and then I think you can start to see really useful data about the interaction between SM and the council website. I’ve been told by more than one council that effective SM/web activity on a bad weather day can significantly reduce anticipated call centre activity. Google Analytics or AN Other web package tell you something about who is coming to the council site from SM, and tracking bit.ly links also help identify who and how many have gone direct from the council’s SM activity to the website. What’s more difficult to measure is the positive effect from ‘engagement’ – eg my council responding to something I said on twitter with relevant info about the last garden collection before winter. I was gobsmacked, tbh. Quite where that sits on the customer satisfaction scale I really couldn’t say…! I agree that pressure points (emergencies, elections etc) do show the relationship between social media and the rest of the digital domain while also being a good bit of evidence for channel shift etc. I think the number of case studies is still pretty low and it would be good to weedle a few more out – sure this is something SocITM have looked at already. As always, I look forward to Better Connected and seeing your methodology for this stuff in action as much as the results themselves! Sorry, will keep this short. Agree may not be transferable. But then, disagree in a way. Weather happens everywhere. Bournemouth found that out last year when their floods happened. Some of it is people not knowing how their Council is relevant to them, some of it is Councils not knowing how to tell people in ways that ping their interest. I guess, what I’m trying to say is, go where your customers/service users are and ask them? Ask them what they want, and while you’re there, participate in relevant conversations where they are. Why does the conversation/engagement/whatever the hell we’re sposed to call it, have to happen on ‘our’ Facebook pages to be ‘counted’? Increasing community resilience is on the agenda for every Council, finding the chattering/complaining people and giving those people tools to do the jobs to fix what they’re chattering/complaining about is pretty damn cool. Everywhere has litter, no? I don’t know. I am reluctant to think I spose that everything we’ve done is only applicable to BwD. BwD is not a place known for its civic mindedness, it’s got _major_ challenges. Or maybe are we saying places with major challenges are sometimes the best places for social media to happen? I think we’re basically in agreement 🙂 I think while yes, there are common topics – like you say litter, weather etc – the way people in each locality want or need to be communicated to about it may well be different. Maybe it wouldn’t but I’ve not seen huge amounts of evidence in either direction which was kind of my point! I agree wholeheartedly with your question about where the online ‘stuff’ happens – within an organisation’s own web domain (ie, their website), in middle ground (ie, their FB page), or totally out there (wherever people are discussing it). I think this is all part of what I think of as content strategy but is also quite radical thinking in terms of council comms. If some orgs are still struggling to come to terms with social media being two-way and letting go of the message suggesting this level of diminished control will be very frightening, but ultimately probably inevitable. Good question at the end as well – do areas with major challenges = more online engagement. I’d love love love to see research around this. I wonder if that statement would prove right though? After all there is more political engagement when times are tough, isn’t there? More people become more motivated to try and change something negative impacting on them but most happy to let things meander along when they feel they’re doing alright?